MiraBay is an amazing resort-style community in Apollo Beach offering an exciting lifestyle for all ages. With a Gulf Coast location along Florida's Tampa Bay, Apollo Beach offers a wonderful destination for a beach vacation or a sunny retirement. This quiet town offers its own beautiful beaches and nature centers, while also being within close proximity of many other attractions throughout the Tampa Bay area. Apollo Beach is a small area in Hillsborough County, less than 30 minutes south of Tampa and about 50 minutes north of Sarasota. As of the 2010 census, Apollo Beach had a population of just 14,055 and its size is just under six square miles. Yet, this small waterfront community offers many interesting attractions for water lovers, as well as some lovely active adult neighborhoods. Boating, swimming, fishing and other water-based activities are the biggest draw in Apollo Beach. The Apollo Nature Preserve is an ideal place to enjoy the beach, have a picnic, fish or go bird watching. Apollo Beach is also home to the Manatee Viewing Center at Tampa Electric's Big Bend Power Station. At this unique attraction, visitors can see live manatees and learn more about them through interactive exhibits. Visitors can also learn about hurricanes and Tampa Electric, stroll the butterfly gardens or explore the tidal walkway. Apollo Beach also features shopping areas and popular restaurants. Visitors and locals alike can enjoy a round of golf at the Apollo Beach Golf and Sea Club or watch the skaters perform tricks and flips at the Apollo Beach Skate Park. Southshore Falls is a popular active adult community in Apollo Beach with impressive amenities. Just outside of Apollo Beach, exciting attractions are spread throughout the Tampa area. Bargain shoppers can spend a day at the Ellenton Premium Outlets, while those who love the arts are sure to be impressed with the offering at Tampa's David A. Straz, Jr. Center for the Performing Arts. Other great Tampa attractions include the Museum of Science and Industry, The Florida Aquarium, the Tampa Bay History Center and Tampa's Lowry Park Zoo. 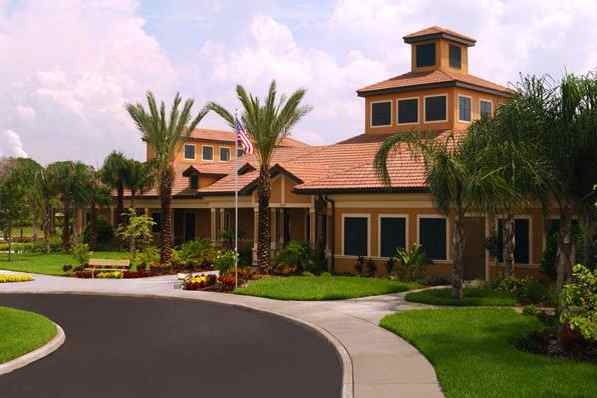 Active adults who are interested in settling in Apollo Beach can find lovely age-restricted and open-age communities. MiraBay is open to residents of all ages, yet its amenities appeal to active adult homebuyers. Community highlights include a spacious clubhouse, the MiraBay Spa, a zero-entry pool, sports courts and ocean access complete with boat slips and a boat launch. Those who prefer an age-restricted community, may opt for Southshore Falls. Just minutes from the beach, this features affordable homes and many resort-style amenities. Not far from Apollo Beach, active adults can also choose from many other impressive, resort-style communities. Just a few of the great offerings include Sun City Center, Valencia Lakes and Kings Point. 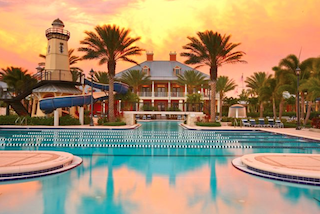 With a great Gulf Coast location, expansive beaches and beautiful neighborhoods, Apollo Beach may be an ideal Florida retirement destination for many active adults.